Growing up, I was never really into peanut butter. It was too thick and always detracted from what I really wanted from a peanut butter and jelly sandwich: the sweet, sweet jelly. When left to make my own lunches growing up, I always cheated—smearing a transparent layer of peanut butter on one piece of bread and using a spoon to scoop the jelly for the other piece. I'm happy to report that my palate has matured since those jelly sandwich days. 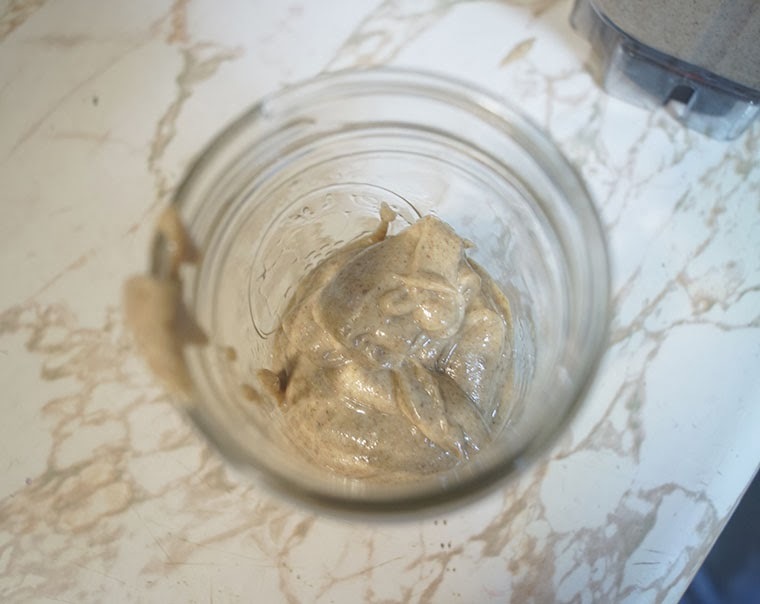 I was introduced to almond butter by an old roommate (who also introduced me to hummus and the magic of using oatmeal as a base for nut butters, including nutella...). At first I thought it looked like a lot of work, all that stirring the separated oils, and so on. But along with a matured(-ish) palate, I've also gotten less lazy in the kitchen, so I thought I'd give homemade almond butter a try. 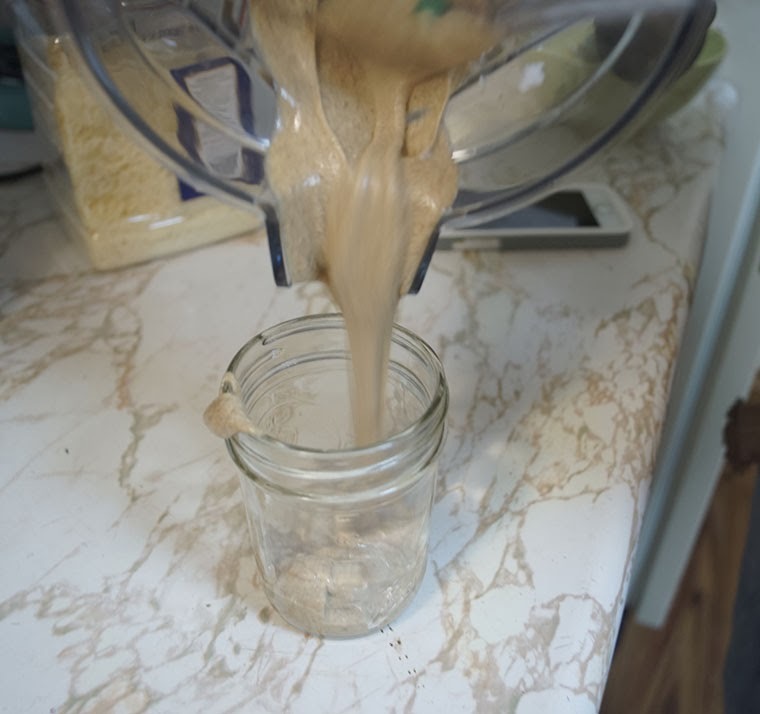 Besides, when you have a Vitamix, you want to make all the recipes that include the word "blend." 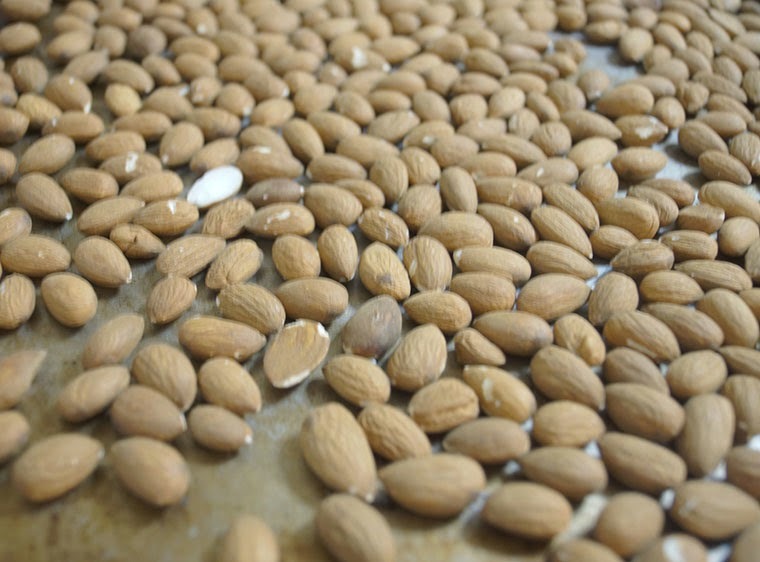 I will say that even in the official Vitamix cookbook, the recipe for almond butter calls for the addition of oil, but I wanted to see if I could leave that bit out and use as much of the almonds' natural oils as possible. 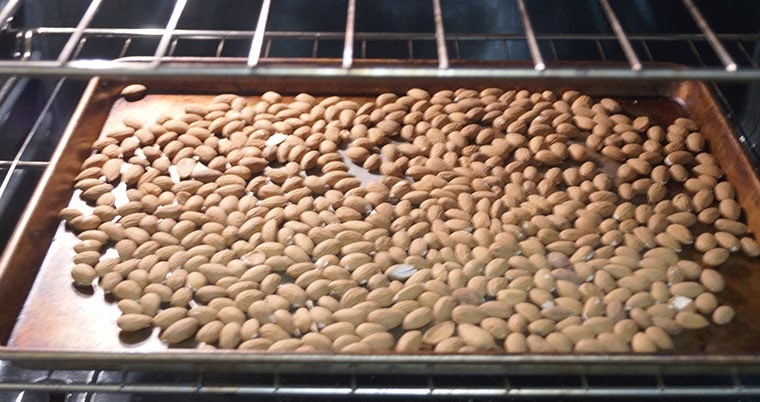 After a quick Google search, I discovered that roasting almonds helps bring out their natural oils, so into the oven at 375 degrees F for about 15 minutes they went. Keep a good eye on them, as they tend to burn easily. Once they start to get a little darker in color and smell great, you're probably done. Let them cool a bit before placing them in the blender (but not before popping one or two in your mouth while they're still warm—they seriously taste like a baked good!). This is the part where you have to stay the course. The blender's motor sputtered and quit a couple times, so I just had to let it cool off and try again. 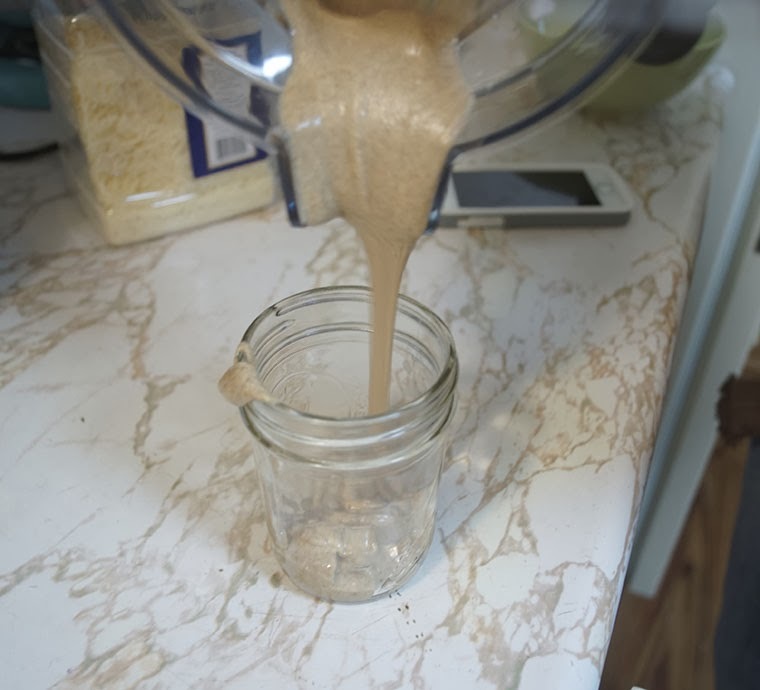 The trick was keeping the tamper active while it blended. If you'd like, you can melt a little bit of coconut oil and mix it in there. We did it! 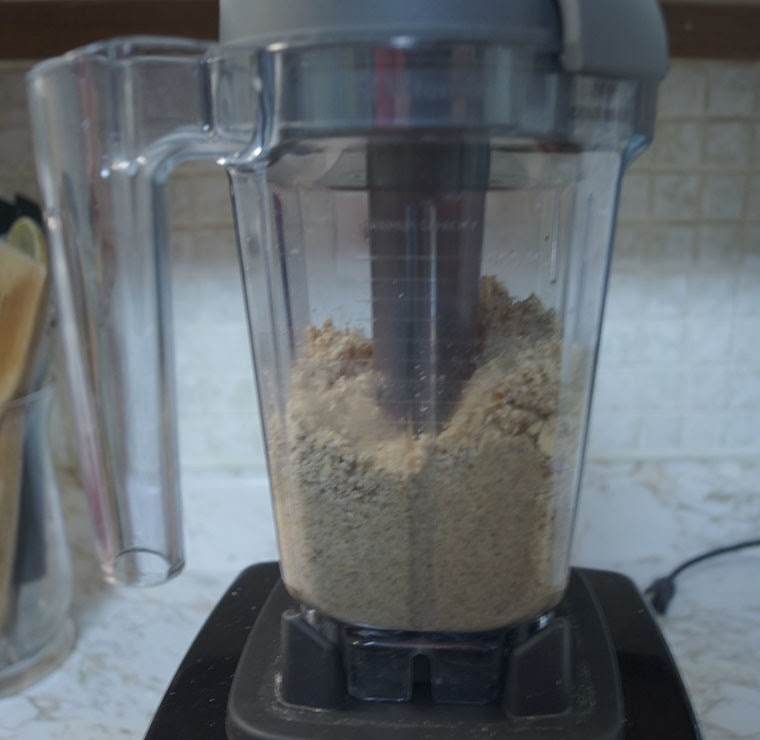 Though I wouldn't recommend trying this (especially without the oil) with a less powerful blender, I think a heavy duty food processor might be able to get the job done. And, boy, is it worth it. I made an almond butter sandwich the next day, this time without the jelly. Yeah, it definitely became an expensive habit once I fell in love. I've even started making my own peanut butter! The best part is knowing for sure what's going into my food, especially when I eat it so often. I've taken to mixing some in with my yogurt in the mornings. It tastes like cheesecake! Let me know if you make your own! Made | Simple winter hat with neon pom pom!